What’s that sound? Do you hear it? Sounds like a buzz or maybe a hum. 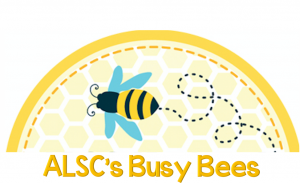 If you think it is a colony of busy bees you are 100% correct – ALSC Member Busy Worker Bees! 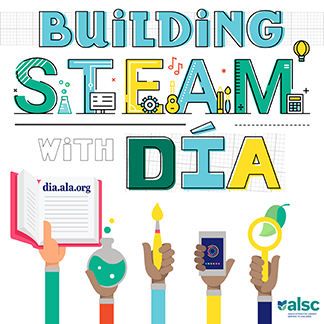 With summer reading in full force and school (public and university) starting for others, ALSC members are hard at work engaging their communities to build healthy, successful futures for all children. At the same time, hundreds of you are also serving on ALSC process and award committees, moving the association’s work forward. In July many process committee members began new appointments and these committees started examining current and future projects to prioritize their work. 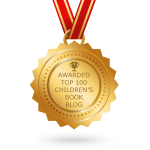 I have been hearing from committees about some of their work and reading with interest the blog posts of various committees. As always, I’m amazed and humbled to be working alongside all of you – our awesome ALSC volunteers! The ALSC Board of Directors has also busy since ALA Annual. We just voted to support the Countering Hate at School Statement proposed by the Southern Poverty Law Center (SPLC), American Federation of Teachers (AFA), and the National Education Association (NEA). This is a national statement against the hate and incivility that has become increasingly more prevalent in schools. We have been discussing next steps for early and family literacy work in our association and directed the Organization & Bylaws Committee to work with the Every Child Ready to Read (ECRR) Oversight Committee and the Early Childhood Programs and Services Committee to examine where, within the ALSC’s committee structure, early and family literacy work should reside without duplicating current work. This week, via an online Zoom meeting, we will be examining the Batchelder Award Evolution Task Force’s recommendations related to their charge: To consider the award’s stated purpose, Mildred Batchelder’s intent in promoting translated books for children, the impact of the award to date, and current realities and trends in the publishing market (as related to publishing translated children’s literature); and to recommend a current framework for the award’s purpose. You can keep up with board work here. As we have new items for discussion, online board meetings will be added to our meeting calendar. Now that August has started, I am beginning my appointments for Distinguished Service, Children and Libraries Editorial Advisory, Arbuthnot Honor Lecture, and various award and media evaluation committees. These appointments will continue on throughout the fall. For those of you interested in serving on any of these committees, I encourage you to fill out an updated volunteer form. The term for these committee appointments will begin in January. If you have previously submitted a volunteer form (since October 2017) indicating interest in any of these committees, you do not need to fill out another form. Interest always outweighs capacity for these committees. 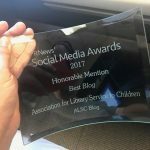 Should you not be appointed to one of these committees, there are still opportunities to be involved with ALSC by volunteering as a guest blogger, participating in listserv discussions, and offering an ALSC Roadshow. Also, vacancies on committees and taskforces do occur and I’ll be making midterm appointments as they arise. Finally, I want to say thank you again to all our ALSC member volunteers which include our Board of Directors, Prority Group Consultants, and Committee/Taskforce Chairs and Members. We can’t do our work without ALL of you. Thank you as well to ALSC Staff who work tirelessly behind the scenes to keep our hive of activity organized and flowing efficiently!